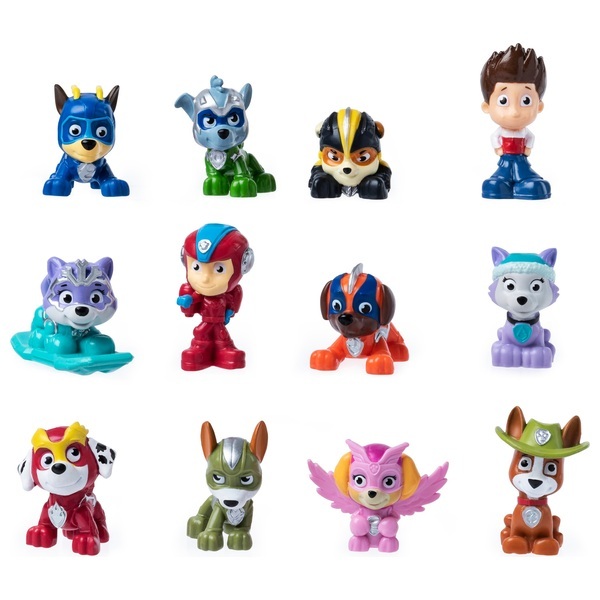 You can collect over a dozen pups from the PAW Patrol, Ultimate Rescue or Air Rescue themes! Each figure comes with authentic uniforms and new poses! Collect them all, play with your friends and go on an adventure! Paw Patrol fans will love these adorable Paw Patrol Mini Figures. Mini Pups to the rescue! Assemble your own PAW Patrol team at home with an all-new line of collectible pups. Each pup comes in a mystery box — you won’t know which one you’ll get! Open up your box to see if you have a pup from the PAW Patrol, Ultimate Rescue or Air Rescue themes. All of the pups come with authentic details, including new poses and cool uniforms! With over a dozen pups to find, each box holds an exciting surprise! Go on a ruff, ruff rescue with Mini Pups!